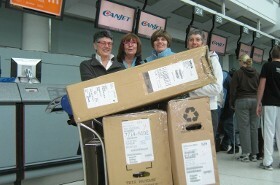 by donating bikes and gear....or....... by transporting our donated bikes while on your next Cuban holiday! We really need help getting them there and our program makes that very easy! See following pages. As of December 2018,Canadians have donated/delivered 470 bikes and lots of equipment in the past eight years.